Domhnall Mac Mathúna, who worked for some three decades developing Physical Education in Irish prisons, died in August after a long illness. He had retired from his post in Arbour Hill in early 2014, having been diagnosed with an aggressive cancer the previous year. 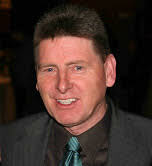 Domhnall was a man of great ability, warmth and integrity, and a committed professional. Like others in his field, he refused to describe his work by the shorthand term ‘PE’, which might suggest simply recreation or diversion; for Domhnall it was always ‘Physical Education’, it involved growth in learning and well-being. Born in Dublin, Domhnall lived most of his adult life with his wife Áine and their four children in Ráth Chairn, in the Meath Gaeltacht. 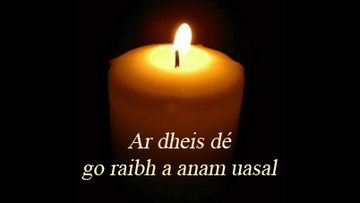 The family spoke and lived the Irish language, it was his natural milieu. I recall train journeys with him where the recreational reading material he’d take from his bag would invariably be a book in Irish. An accomplished athlete in his youth, he trained and studied for two years at a California university. For many years, Domhnall worked not just in Arbour Hill but throughout the prison system, as a ‘development worker’ for physical education. He was Secretary to, and the driving force behind, the Physical Education Development Group (PEDG). This group oversaw great progress in promoting physical activity, health and wellbeing, and the learning to underpin these, among those in prison. Educators who have come to work in prisons in the past decade may be unaware of the extensive national support and development structures within the Prison Education Service in the past, including many in-service opportunities. It also included half a dozen ‘development workers’ who drove initiatives and offered support in different areas of education across the prison system. Domhnall, as National Advisor on Physical Education and Sport, was one of those key people, and he worked passionately with teachers and gym officers, and their respective managers, to promote holistic Physical Education that would reach everyone held in prison. The PEDG was a key part of that larger developmental structure and reflected the Council of Europe view that physical education, in prison as elsewhere, is an important segment of adult education geared to the whole person. The PEDG benefited from the committed involvement of two national experts in the field whom Domhnall drew into engagement with prisons: Dr Ann Hope (of UCG and TCD) and the late Michael Darmody, a Senior Inspector in the Department of Education and Science. Domhnall, Ann and Michael spent several years visiting prisons, working with prison and educational staff to bring about Physical Education programmes that would be open to, and appeal to, all who are held in prisons; and that would adhere to the highest professional standards in classrooms, gyms and outdoor facilities. Something of the quality of thinking and the scale of ambition in these aims can be gleaned by looking today at two booklets produced by the PEDG, which were intended to guide this work: Physical Education in the Irish Prison System: The Challenges Ahead (2000) and Physical Education in the Irish Prison System: Best Practice Handbook (2006). I expect both of these texts are still very relevant today. They are certainly a testament to Domhnall’s efforts to enable men and women in difficult circumstances to be able to participate in, and benefit from, high-quality education. Sadly, Domhnall’s life was cut short in an untimely manner, and his family, Irish-speaking community, friends and work-colleagues lost a gallant man. Kevin Warner, former National Co-ordinator of Education in Prison. Copies of both of these texts are still available and may be obtained from Áine Cowley, Head Teacher at Arbour Hill Prison, AMCowley@ipsedu.ie, phone (01) 6772149. Countries throughout Europe are sending more and more of their citizens to prison, yet this has no correlation with crime figures. Alongside this, people are being sent to prison for longer. It appears too that an increasingly punitive approach to penal policy is being adopted throughout Europe by parties coming from both the left and right of the political spectrum. A unique publication, this book brings together contributors from across Europe who work in different capacities in and around national penal systems: prison and probation officers, prisoner rights advocates, teachers, academics and others. 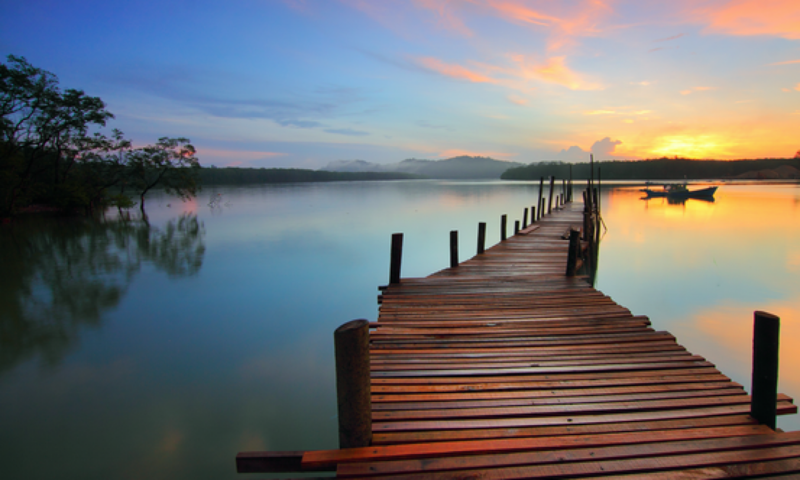 A number of chapters act as conduits for the voices and opinions of people in prison. What binds together the variety of authors in this book is an immense desire to re-imagine how we respond to people who fall foul of the law, recognising them as fellow members of our society, and responding more constructively and with greater humanity. 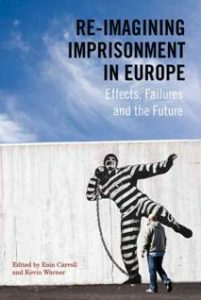 Please send ____ copy(ies) of Re-Imagining Imprisonment in Europe at €29.95 (no charge for P&P). I enclose a cheque in favour of The Liffey Press for €____________. Please bill my credit card: q Visa q Mastercard. Women and Prison: Is There a Need for a Different Approach? The Journal is truly international, with the three main editors hailing from Bergen University in Norway, a university in Virginia, USA, and the Education Unit in Mountjoy Prison in Dublin (Arve Asbjornsen, Bill Muth and Anne Costelloe). There is a letter of welcome from Sweden’s Lena Broo (EPEA Chairperson). Thom Gehring in California reflects on Our Convicts, a book written 150 years ago by Englishwoman Mary Carpenter. And June Edwards, a teacher in Mountjoy, reviews a new English book on creative writing in prisons and such places. There then follow four Research Papers. The first explores the educational background, participation and preferences of Iraqi prisoners in Norway. A really important research paper by our own Cormac Behan comes next; drawing on in-depth interviews with men in prison, it makes the case for “educational spaces which allow students to voluntarily engage in different types of learning, at their own pace, at a time of their choosing”. The Canadian, Randall Wright, has a fine article that in many ways complements Cormac’s paper. However, a very sad aspect is that Randall died following a long illness just a few days after publication. So, prison education has lost a stalwart who understood deeply and advocated fiercely what it has to offer. (The IPEA website will shortly have an obituary to Randall). The fourth paper in the Research section comes from Australia, documenting Susan Hopkin’s and Helen Farley’s work with third-level students in Queensland jails “in the light of the increasing digitisation of materials and methods in higher education”. practitioner section is “themed around a set of articles on prison-based college programmes”. Each paper also hails, on this occasion, from ‘correctional facilities’ in the USA. Anne notes: “because of their college background, these tutors ‘get’ education and understand that education provided in our prisons must be equal to that of the wider community… it is merely the context that is different, and appropriate and well-considered education… has the power to transform lives”. Recent months have seen a range of very interesting publications related to prisons, prison education and the justice system at large. Most of these are easily accessible on-line. Several relate to penal reform in some way. In May, the Irish Penal Reform Trust issues a very insightful report, written by Liza Costello, called Travellers in the Irish Prison System and that is available here. In June, the Jesuit Centre for Faith and Justice in Dublin launched a significant publication, Re-Imagining Imprisonment in Europe: Effects, Failures and the Future, which, as well as much European-wide content, has quite a number of inputs from Ireland – including two chapters on prison education. More information is available at www.theliffeypress.com, or www.jcfj.ie or from the flyer you can find on the IPEA website. July saw the issuing of the Report of the Independent Review Group on the Department of Justice and Equality (available at here. This report is highly critical of the department’s “closed, secretive and silo-driven culture” and what it saw as its very ineffective management. Two recent special issues of important journals are well worth exploring, and both are open-access on-line journals. The Irish Journal of Applied Social Science (IJASS) produced a special issue on criminology and penology in May (available on http://arrow.dit.ie/ijass/). Three contributors to this issue have prison education links. Catherine MacNamara (Casey) of Midlands Prison writes about health promotion in a prison context; Anne Costelloe of Mountjoy has an article on teaching for ‘active citizenship’; and former Co-ordinator of Education, Kevin Warner, discusses prison conditions. The London Review of Education published an extensive special issue on prison education this July and includes a range of international articles, including one by Anne Costelloe and Kevin Warner entitled ‘Prison education across Europe: Policy, Practice, Politics’. It is available at here. Finally, earlier this year, the National College of Art and Design (NCAD) published a particularly interesting and detailed research-based report on 23 years of the NCAD’s course at Portlaoise Prison. Written by Dr Aislinn O’Donnell of the University of Limerick, it is available at here. 9 May 2006: Fr Peter McVerry, Rehabitation: Are we for Real?